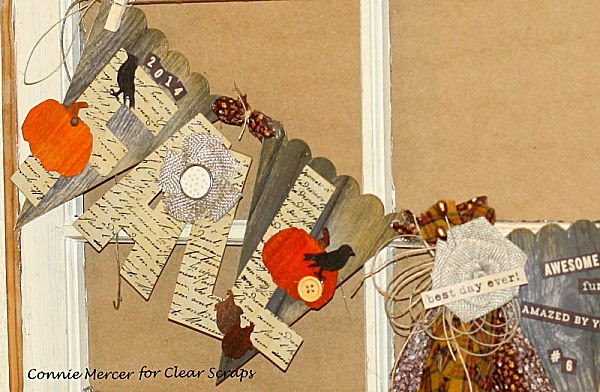 I have a Fall Banner to show you using the acrylic 5 piece Banner set by Clear Scraps. 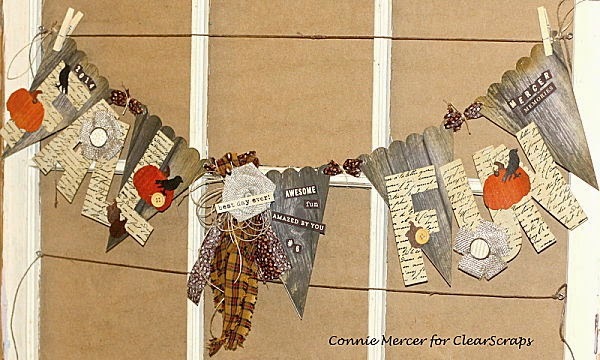 Clear Scraps is partnering with My Mind's Eye this week, so I had some awesome paper's and embellishments to decorate the Banner with. I had such fun putting this together. The wood grain My Mind's Eye papers were perfect for this. They screamed Fall to me. The trim is stripes of material with twine added. The large letters were stamped using the script background stamp by Darkroom Door. Loved the look it gave the letters. There is some Maya Road on the Banner too, but mostly My Mind's Eye and Clear Scraps. Beacon 3-In-1 glue was used on the large embellishments. The pumpkin and crow are Sizzix dies by Tim Holtz. Wow wow wow!! This is gorgeous! I loveeeeeeeee it!!!!!! Leave it to you to capture rustic and classy all at the same time. Love it! Wow!! 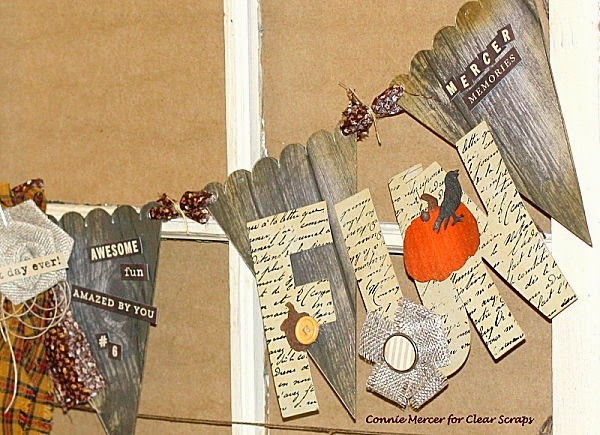 Rustic and Fall!! Win-win. Its awesome! what a cute banner.. i love this..
Oh I love this...Gotta make me one! !